Grant is the quintessential timeless lighting series, which looks right at home in intimate spaces as well as grand majestic halls. A granite base with a thunder grey mineral mélange constitutes the magnetic starting point for the Grant series. In a symphony of contrasts, this elegant igneous stone is paired with polished metals to compose a refined and balanced design. Grant arises from the aesthetic interplay between high shine and dusty granular depth. The series’ ensemble of lamps for wall mounting, ceiling, floor and table have an inherent classic quality and a versatile appeal. Lampshades with a dense rounded silhouette, inspired by Copenhagen’s iconic street lighting, meet slender arms in soft and airy compositions. There is a sense of familiarity in the simple shapes and poised stature, while the smoothness of unbroken curves and unusual mix of materials lend the design a modern lucidity and immediate freshness. A ball joint connecting lampshades and arms allows for the lampshades to be positioned in every direction. The arms of the wall lamps can be moved sideways. 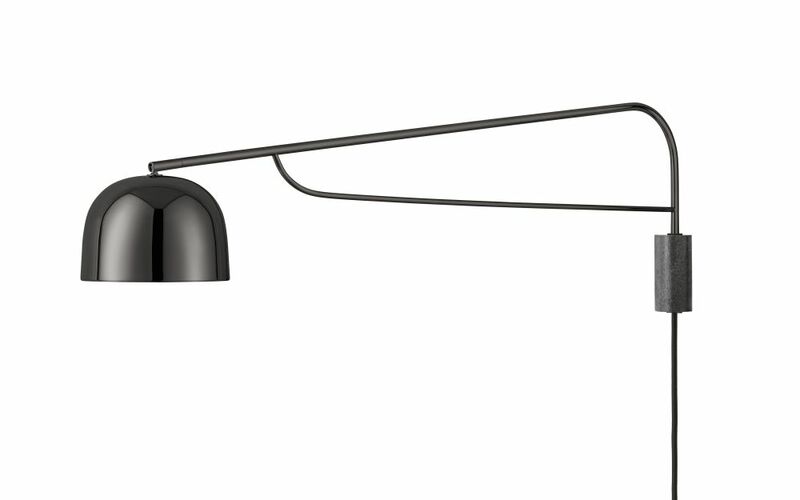 All lamps in the series have a replaceable LED light source with dispersion lens.